Early this June, CBS Local reported that an 18-year-old girl was seriously injured in a swimming pool accident. The teen suffered a spinal injury, a fractured skull and a broken wrist. The teen also faces trespassing charges because she and a friend were allegedly “pool-hopping” at the time of the accident. Essentially, this means that the teens broke into someone’s back yard to go swimming. Unfortunately, they chose the backyard of someone whose pool had been emptied for repairs, which was how the 18-year-old was injured when she jumped in. 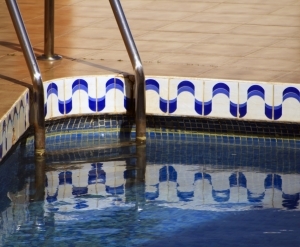 Our Boston accident attorneys know that swimming pool accidents are far-too-common over the summer months. While pool-hopping teens may not be a common occurrence, trespassers coming onto properties to use swimming pools occurs frequently through the hot summer months, and many of these trespassers are young children who could drown within minutes. Young kids are even at risk of drowning in swimming pools with parents in arm’s reach, since most people don’t really recognize the signs of drowning. Keeping kids (and teens) safe from summer swimming pool accidents thus needs to be a joint-effort. Parents and caregivers should do their part by supervising their kids carefully, teaching their kids to swim and learning the signs of drowning. Pool owners need to carefully secure their swimming pools to ensure that kids don’t wander into the pool and lose their lives. The homeowner of the pool where the 18-year-old kid was injured had done everything right to try to prevent accidents and trespassers. The homeowner was actually a building inspector for the town of Westford whose job it is to make sure pools are up-to-code. He had a six-foot privacy fence to block the view of the pool and a four-foot-tall chain link fence around the rest of the area. While his fence did not keep the teens out because they were intent on trespassing, it would have kept out an average child wandering around the neighborhood. Having a fence is so important that the U.S. Consumer Product Safety Commission recently issued a call-to-action encouraging homeowners to put a fence around all pools. The CPSC’s news release on the fence issue was sent out because the majority of kids who drown -390 each year on average- do so in backyard pools. Having the pool fence can protect these young children and it also protects homeowners from being held legally liable for injuries that kids sustain. Of course, while a fence can keep trespassing kids out, kids are also at risk when swimming with permission unless they are carefully supervised. Supervised mean not just keeping an eye on them, but also knowing how to recognize the signs of drowning. Unfortunately, many believe that drowning involves flailing and splashing like they see in the movies. The reality, however, is very different. As a Slate article recently indicated, drowning doesn’t usually look like drowning because a drowning person cannot cry out for help or flail. A drowning person cannot cry out because he cannot breathe, and he cannot flail because his drowning mechanism will cause him to extend his arms laterally and press down on the water’s surface. Actual signs of drowning thus include a mouth that sinks and reappears regularly; movements that look as if the drowning person is climbing a ladder; and having glassy, closed or unfocused eyes. If homeowners put up fences and parents and caregivers learn the signs of drowning this summer, hopefully there will be fewer deadly or dangerous drowning accidents and kids will make it through the summer season OK. Bus Driver Pleads Not-Guilty After Boston Overpass Collision, Boston Personal Injury Attorney Blog, June 5, 2013.